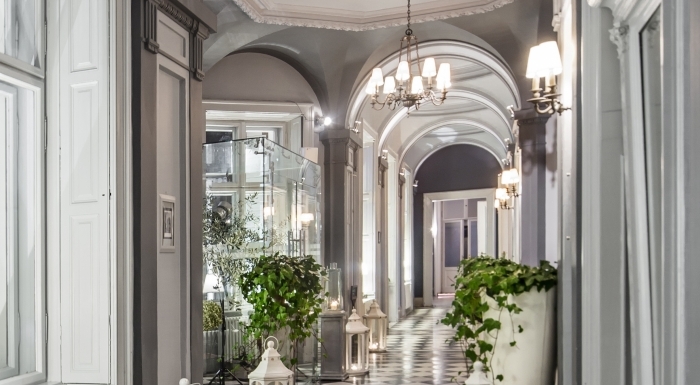 The Endorfina restaurant is situated in the Zamoyski Palace, near the Royal Route. Its specialty is international cuisine, a main course costs around 40-90 zlotys. Meat dishes include steak of matured beef undercut with spinach-zucchini roll-ups and smoked potatoes as well as sous vide goose breast with fresh marjoram sauce with caramelised beets and cherries. 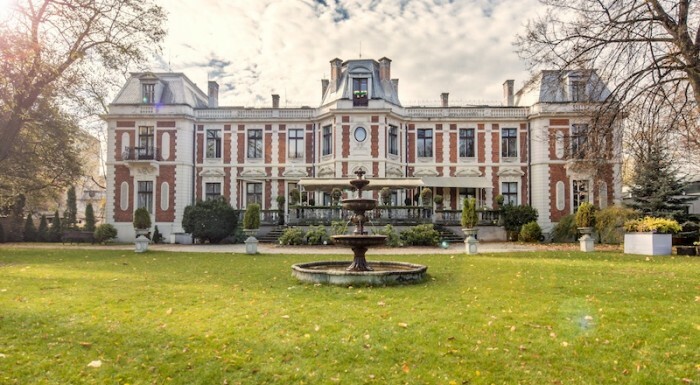 Other interesting courses are: sous vide veal cheeks with red wine sauce and mixed seasonal vegetables or lamb comber with rosemary sauce and some żubrówka [Polish vodka] and potatoes filled with boletus. From fish dishes, baked John Dory fillet served with celery flan and wood sorrel or fried plaice fillet with rhubarb mousse and crispy crayfish are recommended. 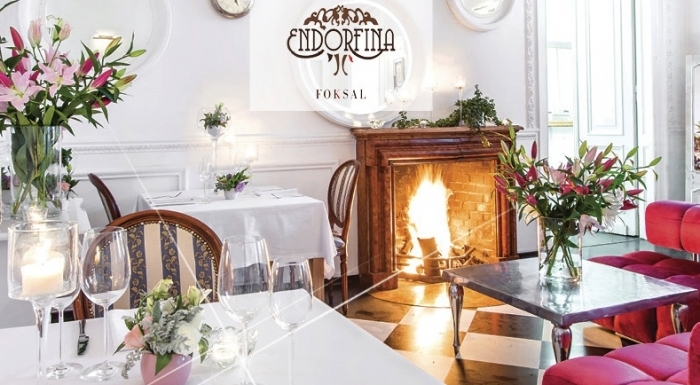 The guests of Endorfina are satisfied with starters, both hot and cold. 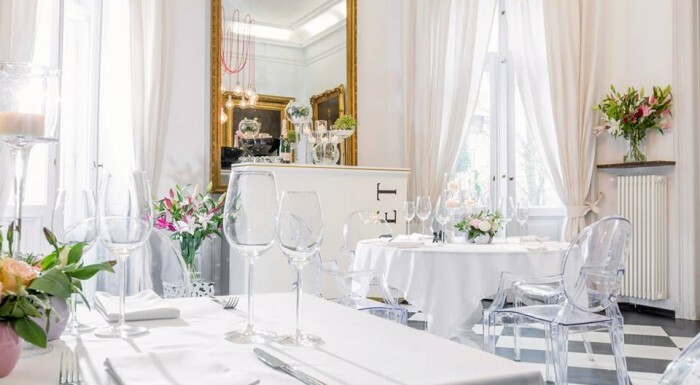 The most popular ones are capriccio of marinated undercut with black sea salt served with porto jelly or spinach ravioli with chanterelles and mozzarella served with pine nuts and sage. Salads are also very interesting, they are prepared according to chef’s own recipes. In the menu, you can find salad with fried guinea fowl, green apples and a note of red onion preserve or with sweet potatoes and sunflower germs served with lime sauce and Parmesan cheese. 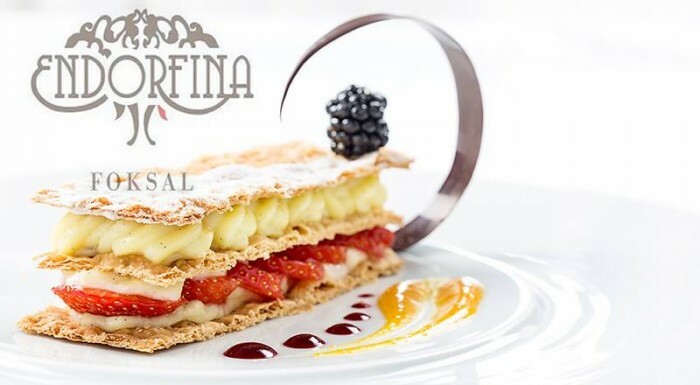 Endorfina is an elegant as well as sophisticated place and its cuisine is one of the best in Warsaw.